It is as if the sun and the economy have connived to bring the country down. 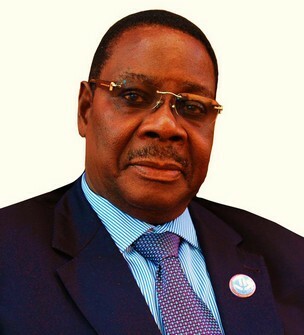 Popular sentiment is that the financial woes that have besieged the country are a direct result of the decision of the International Monetary Fund and Malawi’s other traditional donors to suspend aid until all cashgate cases are concluded. There is a lot of money at stake, to the pessimist. The optimist sees a way out though. We must learn to survive on our own, without the mention of aid. This, however, is a reckless thought that would land the head into trouble. It doesn’t come at such a time when everyone is groaning from the pains of a biting rabid economy. The Kwacha continues depreciating, prices of goods are sky-rocketing, and there is discontent among some quarters on the perks they get. They all say they need a pay hike that will neutralize the price hike. First, it was all civil servants some months back until they finally got a little something out of it. But, that was before everybody thought the economy would continue crawling with a bare belly on gravel for months. Today, a reeling economy isn’t even the phrase to describe the crisis in which we are. Government has admitted too that the wreck is struggling to sail to safety. This has prompted the President, his vice and the whole cabinet to defer their salary increments to at least until the economy gets back on track. Why raise the perks in the first place? There are questions everywhere though. Some are very curious about the identity of the officers responsible for salary hikes and harmonisations. Them, aren’t they feeling the pinch too? How could they, in the first place, think of raising president Arthur Peter Mutharika’s perks, and right honourable Saulos Chilima’s, and the ministers’ and Dr. Lazarus Chakwera’s? Plus, how did the salary hikes get approved? Didn’t the one approving the hike know it was a wanton move with the current heat scorching tax payers? The judiciary hasn’t been working for weeks now: they want perks raised. The College of Medicine, Blantyre Campus got closed just last week because the students are demanding a more than 60% raise in monthly stipends. Almost all government-sponsored students at Mzuzu University are currently suspension following riots related to the same too. The support staff at Chancellor College downed tools last week too. This has resulted into the college’s very closure just yesterday, December 12th, 2014. All this is a sign we are in a real bad situation. But, we should tread carefully and make sure that we get out of this situation stronger. Let what will not kill us revive the energy so we confront the enemy; the reeling economy, with all might. The IMF, and the donor community say they will only resume aid after the very last man involved in the plundering of the country’s resources is put behind bars. That is, a very commendable condition, but what do we do now? Tear our clothes into rags and start rolling over in dust that they resume their aid before the condition is met? And the judiciary is on strike it too! This should serve as a lesson. Aid is slavery. But we are learning it the hard way. The good thing is, as one good friend of mine Bon Ndawala puts it, “lessons that are learnt the hard way aren’t easily forgotten”. Let us not be the hypocrites that preach self-reliance in the harvesting period and weep loudly for frozen aid in General January. The noise is not working. Our skin is still burning under the scorching sun.